If you want to sample a bit of ‘old Dubai’, then head for the traditional souks or markets. 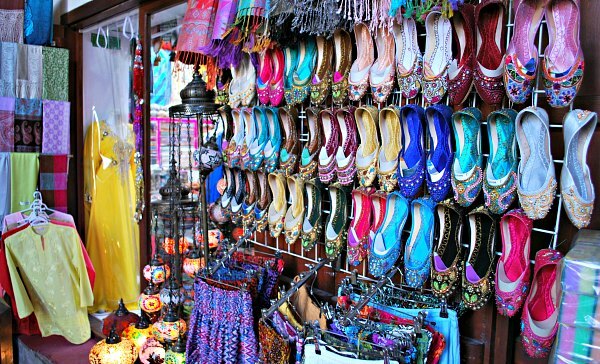 There are two main ones to visit, the Gold Souk and the Spice Souk. Here, little has changed over the years and at the Spice Souk in particular, you walk up darkened alleys, crammed with tiny shops selling everything you can imagine from spices to fabrics and from shoes to home wares. You will need to get used to the traders shouting at you, to try to get you interested in things they’re selling. Both the Gold Souk and the Spice Souk have a similar layout with wooden posts supporting the roof over the alleyways and lanterns to light the way, so it’s just really the merchandise that makes them different. As its name suggests, the Gold Souk has its focus on jewellery and as such it doesn’t feel quite so historic as the Spice Souk. 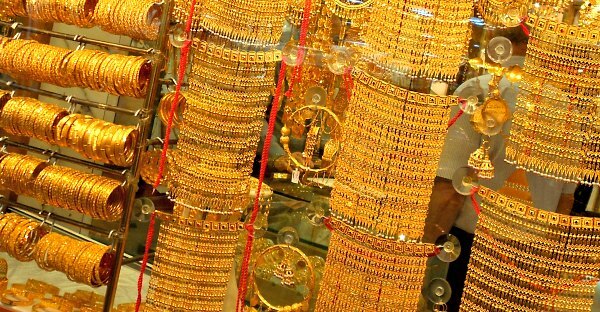 In the Gold Souk you will find other items for sale, but the gold alleyways catch the eye more because of their impressive displays of bangles, necklaces, rings etc. It’s a bit like a ‘wall of gold’ in each window you come to, a real feast for the eyes of a jewellery lover! Shopping in a souk is not the same as shopping in a mall, and shopkeepers will shout out at you as you walk past, sometimes standing in front of you, or walking alongside you. It’s an experience in itself, but some people do find it a little oppressive. We found that a firm, “No, thank you” generally worked if you’re not interested in that particular stall. If you are interested, be prepared to barter. Never accept the first price you are offered, but don’t expect huge discounts either. You may find it more comfortable to walk around in a small group rather than on your own or you could visit as part of an organised tour like the Dubai Culture Tour. 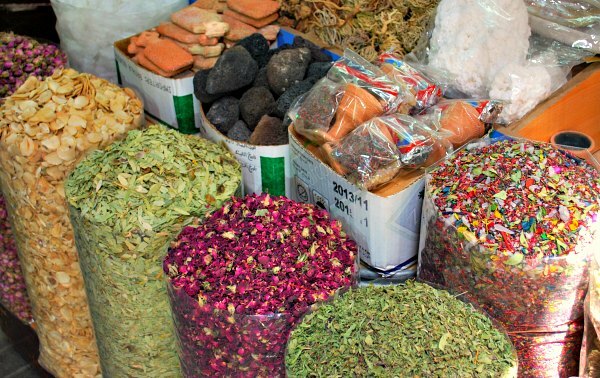 As mentioned above, both souks sell other items apart from spices and gold. Dubai’s two main souks are located near the Dubai Creek in an area called Deira. This map shows the Spice Souk, but you can move it around to see the nearby Gold Souk too, which is a 5 minute walk away and is marked on the map.